The composer of atmospheric instrumental music known as Gustavo de Beauville has released his second full-length album, “Volume 2.” The record contains no fewer than 20 original tracks for an approximate listening total of one hour. It has been proudly published as an independent release without the direction of the corporate music industry. Epic in scope, emotionally sweeping, and capable of painting vivid soundscapes for cinema, video games, or rapt, personal listening, “Volume 2” solidifies Gustavo de Beauville as one of the scene's most accomplished new composers. Songs on De Beauville's “Volume 2” also boast awe-inspiring, often bleak and intimidating futuristic overtones. Also plainly heard on the record are De Beauville's roots playing guitar in rock music. Prior to his career as a composer, he spent the bulk of his time writing and performing in heavy metal bands. As such, he has populated “Volume 2” with extensive analog guitar which lend the record an organic, live quality audiophiles will appreciate. Gustavo De Beauville is a multi-instrumentalist and audio engineer trained at the famous Ontario Institute of Audio Recording Technology. Specializing in dark and shadowy music, De Beauville has contributed to film, video games, and has released several original progressive-rock albums. 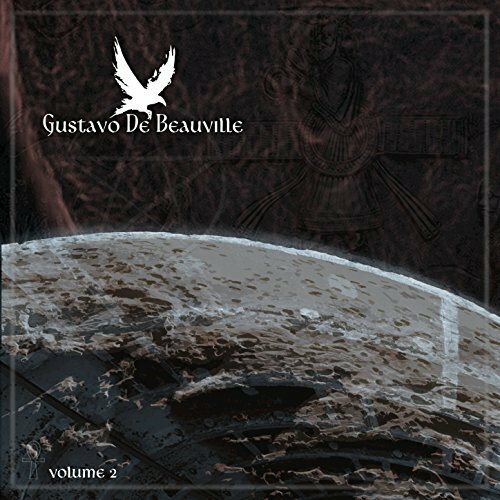 “Volume 2” by Gustavo de Beauville is available from over 600 quality digital music retailers online worldwide now. Get in early.